If you are working with plastic films, you have probably run into the fundamental problem with printing or writing on this surface. Ink does not adhere to plastic. Although the structure of untreated plastic is simply not conducive to this practice. corona treatment provides a permanent and cost effective solution to the problem. Corona treatment is a treatment that improves the adhesion capabilities of plastic, in most cases specifically for ink printing. Technically, it is a discharge at an incredibly high frequency that changes the surface of plastic to bond with materials that would normally run through it or wash away. Treating plastic in this way is known as “wetting” the surface. In technical terms, wetting is actually a ratio of surface energies. If the surface energy of plastic (known as the “substrate”) is higher than the surface energy of the liquid (in this case, the ink) that is touching it, then the plastic will not cause the liquid to adhere. The ability of plastic, and any other surface, to adhere to a liquid, is measured in dyne-level. How can you stay away from adhesion issues in the plastic that you use? The Corona treatment that is offered by Zoi Films is a special pre-treatment that properly “wets” your plastic to create a more adhesive surface. We can also treat metallic foils before any coating, laminating or printing treatment. We have Corona discharge units that provide a consistent wetting for quality adhesion. We can perform this technique in line for quality results and a time effective process. Because plastic is synthetic, it is uniquely uniform at the molecular level. These molecular chains are made to bond to each other, and they offer only a few points of open ended bonding points. The lack of bonding points is the cause of plastic’s low adhesion. This can be a problem in the process of converting if you do not have the proper tools on hand. In order to properly invoke a Corona treatment, you need a charge of a sufficiently high frequency that can also be controlled to open enough enough of the synthetic molecular bonds to give an opportunity for adhesion. The high frequency discharge of a Corona treatment involves accelerating electrons to rupture the long molecular chains in plastic. Connections open into free valences, and the plastic now has the ability to bond with ink. The discharge in a Corona treatment also contains ozone, which forms an oxygenation. Oxygenation eventually turns into carbonyl groups that have a greater surface energy than the original material. The dyne-level is improved under these circumstances, which creates an opportunity for an improved chemical connection between the plastic and your ink. Corona treatment will not decrease the strength of the plastic, nor will the appearance of the plastic change. Corona treatment only changes the surface level molecule chains, which sit on the top 0.00001 microns of your plastic. How much treatment do you need? Not all Corona treatments are made the same. You will need different treatments depending on the type of material that you plan on using. The characteristics of these materials will determine the level and type of treatment that is necessary to increase bondability without weakening the material itself. We will test a small sample of the film to ensure the correct power value for your Corona treatment. How long does a Corona treatment last? Corona treatments do not last forever. The dyne-level of a treated surface will eventually fade. Depending on how long you wait before inking the surface, you may have to treat the surface again for best results. The speed of the dyne-level erosion depends on the slip in a material. In general, older stocks of film will be harder to treat. Also, the decay of a treatment can be affected by the storage conditions. As a rule, the more difficult a surface is to treat, the more quickly it will decay. 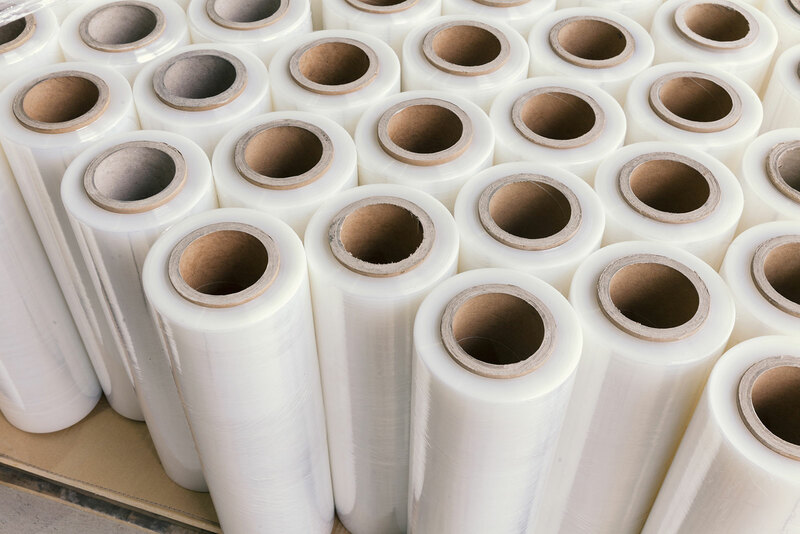 ZOi Films has corona treating equipment to impact the surface properties of film. Corona treatments promote adhesion for coating, printing, and laminating. ZOi Films has multiple units and can treat out to a width of 60” wide.